Standing outside talking with a neighbor yesterday I mentioned how I would love to see my dog Valentino running free in a fenced yard. Within minutes, my dog was free to run in her fenced yard! 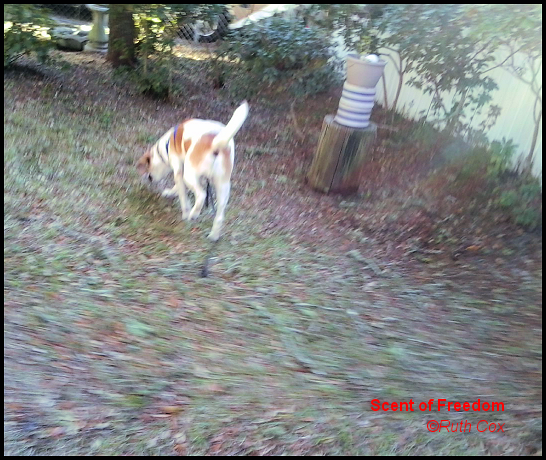 I could not thank my neighbor enough for the gift of seeing my dog run free. His delightful dog face of freedom gave me such a feeling of happiness. Valentino ran and ran and ran some more! Occasionally he'd run up to me, wag his tail and smile. 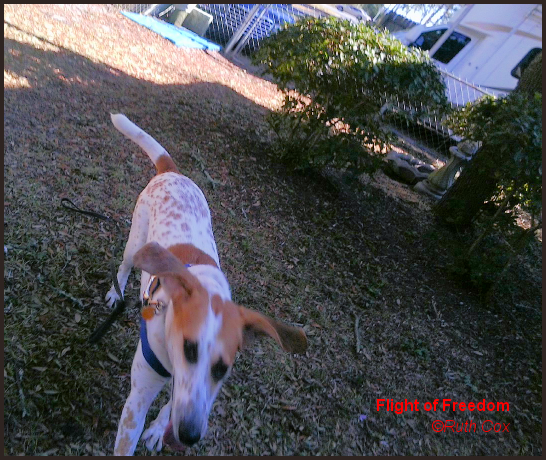 Then off the dog would go, ears flapping as fast his feet were running. Once he ran himself ragged, he settled in with his nose to the ground, sniffing every square inch of the neighbor dog's yard. Naturally, Valentino had to leave his scent in the yard for Speckles to find once we were gone. These boys have greeted one another daily through the barrier of a fence but we're hoping soon to see if they'll play peacefully together inside the fenced yard. You can view my previous dog, Tidbit, and neighbor dog, Speckles, nose to nose on my Friends and Fences Photo Plaque. On my wish list for 2015 is to fence at least a part of my yard in for my dog. I rent, so this is quite a commitment, and quite an expense. My dog having the freedom to run and play off leash is well worth it. In fact, I have earmarked my Zazzle earnings toward the fulfillment of this goal. 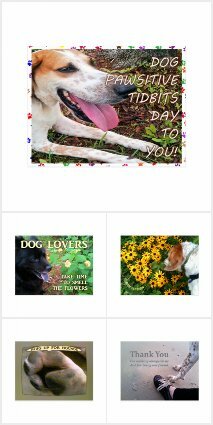 Check out my Zazzle stores and I'm sure you shall find something you adore. And you'll know if you purchase anything that you are helping me to give Valentino a daily dose of freedom. 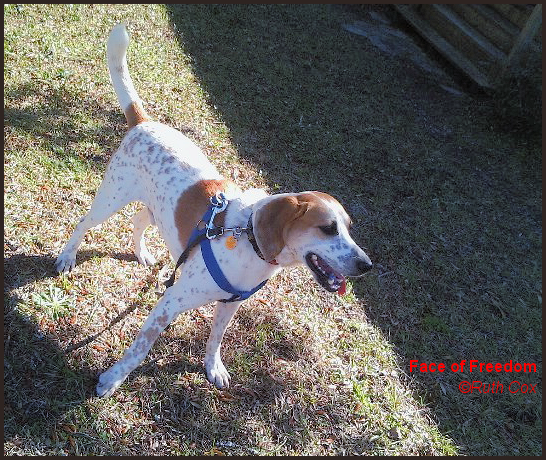 I am linking this not-so-wordless freedom tale up with BlogPaws for Wordless Wednesday. Check out all the pets and animals, join the BlogPaws community, and add your pet's paw prints to the mix!